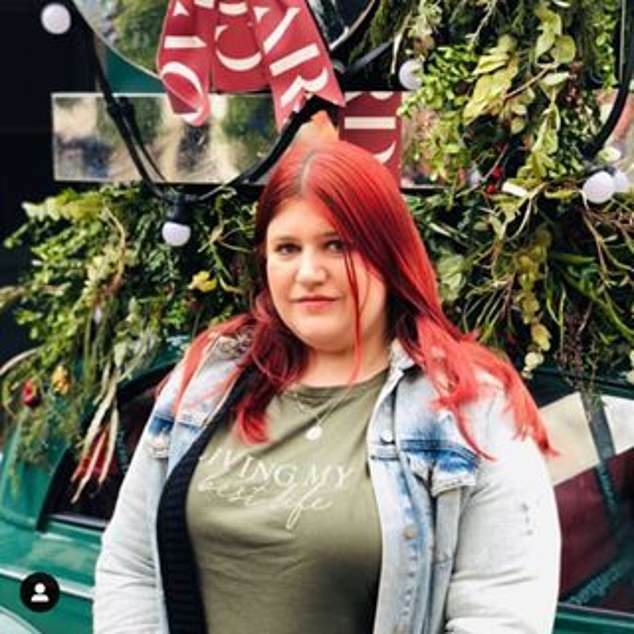 A mother who felt like she was ‘constantly failing’ has revealed how ‘micro-scheduling’ her time down to the last minute has transformed her life. 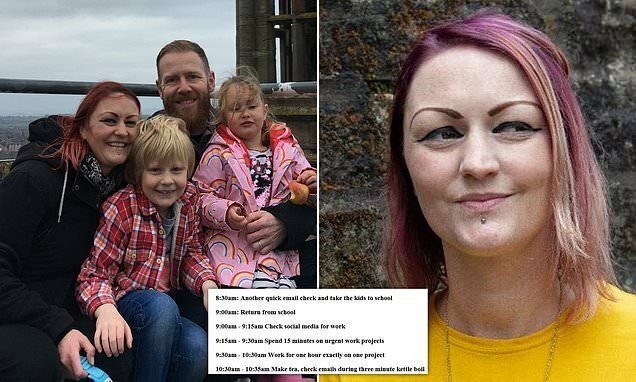 Social media manager Fiona Brennan, 35, who lives in Worcestershire with her husband John and two children Baxter, 7, and Luna, 4, follows an ultra-strict approach to planning her work/life balance – ensuring the dishwasher goes on at exactly the same time every day and she only checks emails in the three minutes it takes for the kettle to boil. The trend for micro-scheduling – which sees people planning and sticking to a strict pre-set schedule, often accounting for every minute – is becoming increasingly popular. Some hyper-organised souls are even plotting an exact time allocation for getting intimate with their partner. However, a top psychologist has warned that adhering to a plan that maps out days too strictly is ‘dangerous’ and describes it as a form of ‘self-bullying’. 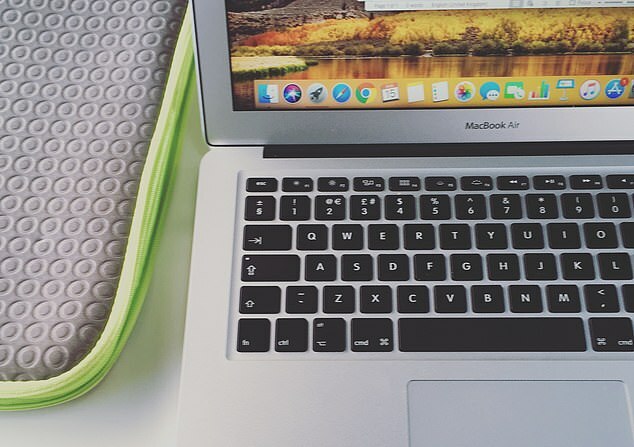 For Fiona, a freelance PR, not feeling in control of her work and home diary meant she reached a point of ‘meltdown’ last year and decided she had to be more organised to be happier. She explains: ‘I was working around the clock, completely stressed, not feeling like I was actually earning the money. After speaking to a micro-scheduling coach, who she now pays a monthly fee to, Fiona says her stress levels have plummeted. 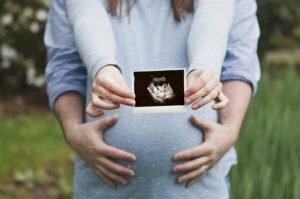 While some people might find it strange that the working mum plans everything from her date nights with her husband – every Wednesday – to when the dishwasher goes on – 8:20am daily – she argues she’s never felt freer. Slapping a total ban on chatting to friends in the daytime, Fiona’s precision routine begins at 7am when she gets her children ready for school. 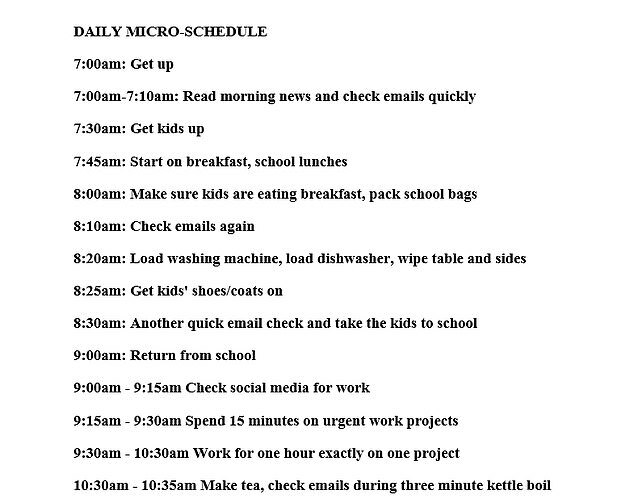 She then works solidly from 9:00am to 2:45pm – with a highly disciplined approach seeing her only allowed to check her emails when the kettle’s bubbling. ‘While the kettle’s boiling for my first cup of tea, I’ll check emails. While I’m asking the children to put their shoes on for school – I’ll quickly go through them again to prioritise’. His video, detailing the exact time management of his day, has earned nearly 2.6million views on YouTube. 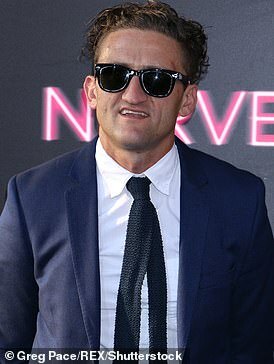 Casey Neistat is so dedicated to micro-scheduling that he sleeps for only four hours a night and carves up his routine exactly to fit in family, work and activity time . He lives by the mantra that free time is the biggest evil…and so he enjoys none of it. Once the children are at school, the strictest part of Fiona’s day begins. She works solidly for an hour before stopping. If work isn’t done within that hour then it won’t be touched again until the next allocated hourly slot for that project. The clock ticks on and the next hour-long project begins. 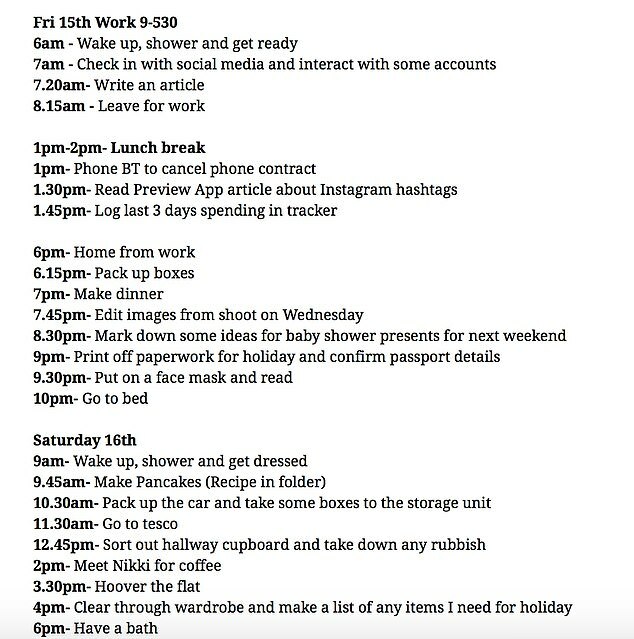 There are even set days for social media, with Tuesday Twitter day, while Instagram updates for work projects are done daily. After the kids are in bed around 8pm, she’ll return to her desk for another two hours of work. But not on Wednesdays. Wednesdays is date night, when Fiona and her husband go to cinema or to a climbing club. Thursday is Fiona’s vegan running club night and the family ensures they resolutely spend a sacred two hours having fun – without any screens – together over the weekend. 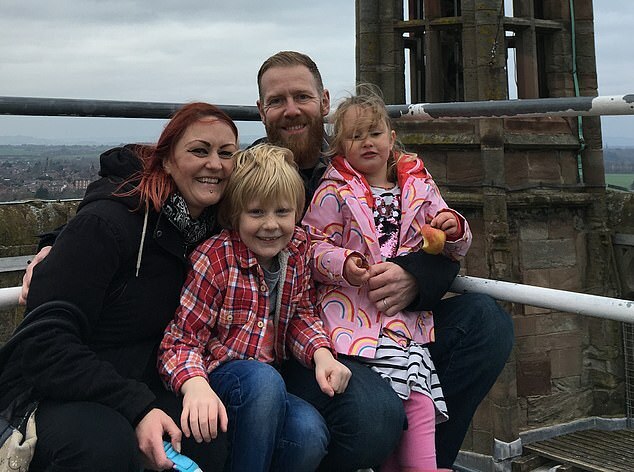 While her husband John is organised, he’s not a micro-scheduler but he is hugely supportive of his wife’s military approach to the work/life balance. 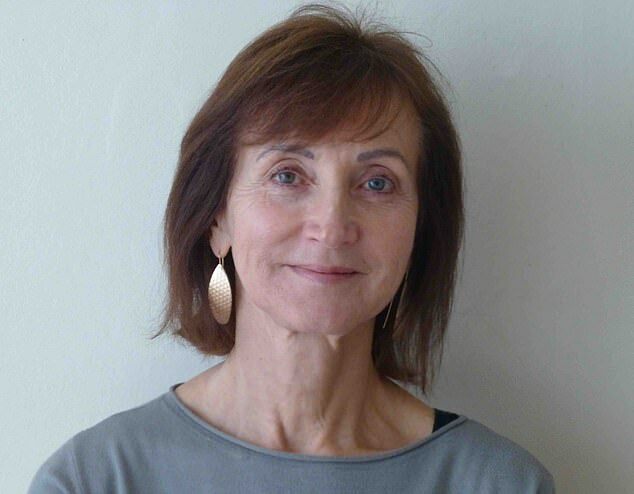 Psychologist Annette Byford issues a stark word of warning though to those thinking of trying to account for every minute of their time. 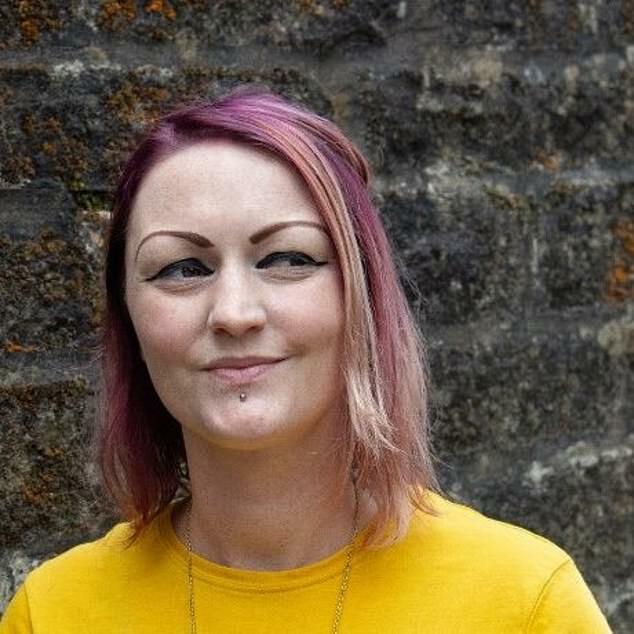 Rhian Westbury, 29, who lives in Watford, accounts for every minute that she can, following a detailed plan to ensure her work and home-life runs like clockwork. She admits to being a ‘chronic meticulous planner’ and pins down her days to ensure she gets the most out of every single minute. Using Google Docs to ensure she can access her list wherever she is, Rhian says it’s all about being in control. Even her lunch breaks are planned to ensure she’s working efficiently. Housework, self-care and even relaxation is also pencilled in and lie-ins at the weekend don’t happen – Rhian is always up by a pre-set time. Rhian’s boyfriend Luke finds the strict adherence to routine ‘a bit annoying’, she says.